Walking in the Ardennes covers 32 day walks between 2 and 24km and one multi-stage route, the Sentier du Nord. The Ardennes region in southern Belgium overlaps into Luxembourg and France and features rolling hills, deep valleys, rivers and wide reaches of forest. 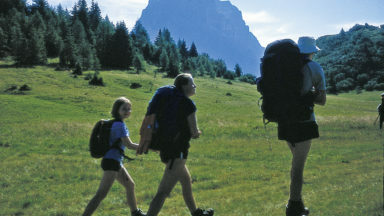 Walks take in WW2 battlefields, medieval castles, towns and villages. Easily accessible from Calais, the Ardennes region of southeastern Belgium is a great destination for a family walking holiday. This beautiful area of beech and oak-forested hills also offers endless walking opportunities, suitable for a wide range of ages and abilities. Walking in the Ardennes describes 32 day walks based in five centres in Belgium: Bouillon, Spa, Malmedy, Dinant and La Roche-en-Ardenne, and one 68km long-distance route, the Sentier du Nord, divided into six manageable stages that traverse northern Luxembourg from Weiswampach to Diekirch. With numerous outdoor activities, including kayaking and mountain biking as well as the outstanding walking available, the Ardennes is a great destination for a family holiday. Located primarily in south-east Belgium but also stretching over the borders into northern Luxembourg and, to a lesser extent, north-east France, the Ardennes is a beautiful area of beech and oak forests, rolling green hills and deep, winding river valleys. 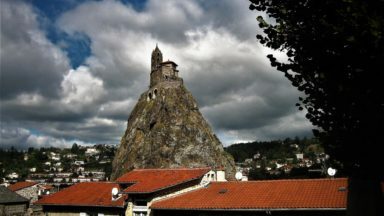 It offers almost endless walking options and is packed with historic sites to visit including medieval castles and fortified farmhouses perched above attractive villages, as well as WWII museums and war relics situated alongside the routes. Military history enthusiasts will be especially enthralled. 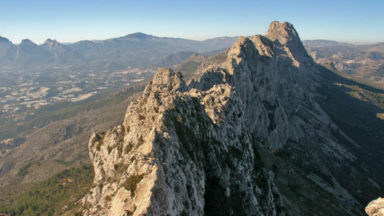 The walks described in this guidebook differ in distance and ascent but there are no large height gains and so the walking is all essentially straightforward. 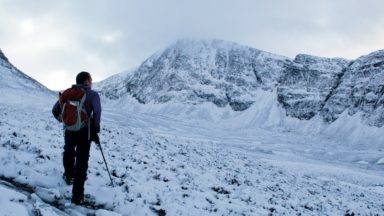 There is no difficulty grading system, and no special equipment is required; recommended gear is the same as would be used for countryside walking in the UK. On-road sections have been kept to a minimum. 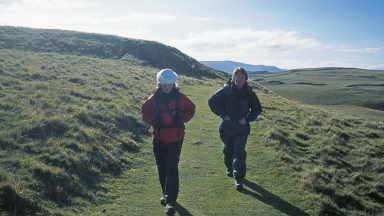 As such, the walking is suitable for a wide range of ages and abilities, and is perfect for all the family. The whole of Belgium is covered by the 1:50,000 Institut Géographique National (IGN) series which are, in principle, the same as the UK Ordnance Survey maps but of nothing like the same high-quality graphic representation and readability. Notably, footpaths are very difficult to distinguish and follow. The same organisation produces maps at 1:25,000 and 1:20,000 scale, of similar quality. 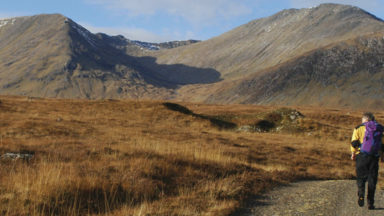 For basic holiday planning or for multi-day walks these maps are adequate, but for detailed walking routes the best – indeed the only satisfactory – answer is to purchase local maps at local tourist offices or shops. Given the often limited opening hours of the former, this can throw up interesting situations. For example, in 2012 it was possible to purchase a map of the Ourthe Superieure in Nadrin tourist office, open only from 10.00am at the weekend. However, according to a local lady it was worth trying ‘chez le pâtissier’ (at the baker’s) where, sure enough, a copy was produced with a flourish from under the counter. It is usually impossible to source these local maps in the UK prior to departure. Generally these local maps are at 1:25,000 scale, although there are variations (1:20,000 being quite common). They vary in size and format from place to place. But even these maps are not without problems for walkers: local walking routes are numbered, and in many instances these numbers obliterate the map’s detail. Also, these routes are overprinted on existing paths, tracks and roads, and it is often impossible to determine beforehand which surface you will be walking on. Those who abhor surfaced roads may find this particularly trying. It is also worth bearing in mind that some of the maps do not have a legend, and finally it should be remembered that many of the local maps are 15 years or more out of date. However, it needs to be said that the maps of the Grand Duchy at 1:20,000 scale are good. On the plus side, details of these walking routes, including length, a severity grading and suggested timings, are sometimes included on the reverse of the map. The maps contained in this guide are derived from open-source materials and adjusted to reflect the author’s experience on the ground. They are not designed as a substitute for a decent map or the ability to interpret it; they are adjunctive particularly to give a speedy visual cue to area and terrain. A compass is a useful tool to add to navigational equipment, being particularly helpful to confirm the direction in which a path or track is running when there is some uncertainty about your precise position. Finally, active forestry management, necessary though it may be, is the bane of guidebook writers and wayfarers alike. Readers should bear in mind that yesterday’s walk through a spruce forest rich with the insistent high-pitched song of goldcrests may be tomorrow’s amble through open scrubland or new plantation, filled with the scratchy utterances of common whitethroat. After a short commission in the Army, Jeff Williams trained in paediatric medicine and worked as a consultant paediatrician in North Wales for 30 years. During that time he wrote walking and climbing guides for the Stubai, Silvretta and Ötztal Alps, as well as Cicerone's 'Walking in the Drakensberg'. 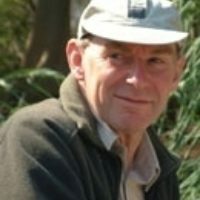 Jeff also trained as a safari guide in South Africa and currently teaches new guides and lectures in North Wales on safari guiding and walking.